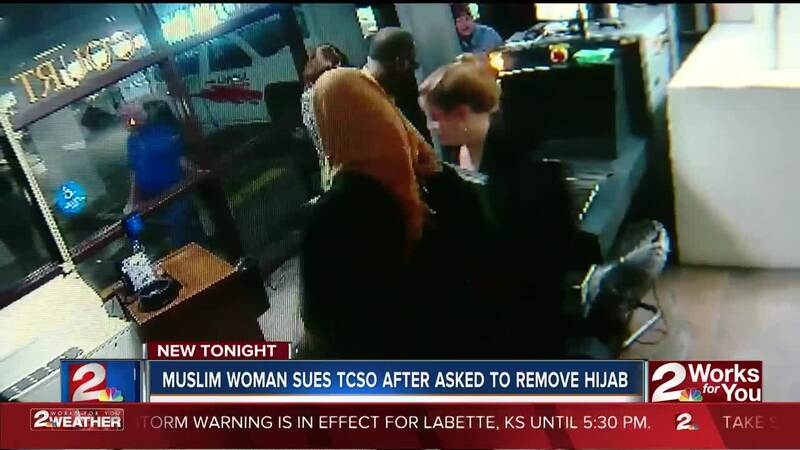 TULSA -- A Muslim woman said she was forced to remove her hijab in public while trying to enter the Tulsa County Courthouse. A lawsuit was filed on Tuesday. The Sheriff’s office said the woman’s claims are not true. Attorneys for Suha Elqutt said she was forced to remove her hijab in the presence of male deputies and that the sheriff’s office didn’t accommodate her requests to be searched by female deputies. The sheriff’s office is now challenging that accusation with what was captured on surveillance video. “I believe this video vindicates the deputy, the door guard, that you see doing their jobs,” Sheriff Vic Regalado, said. Attorney’s for Elqutt said the incident caused their client distress. 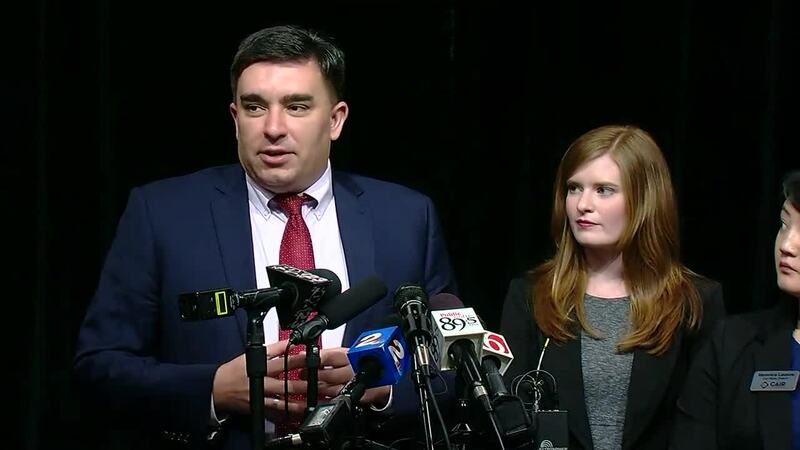 “What happened outside the courthouse that day was a grave indignity and reflective of departmental ignorance,” Megan Lambert, staff attorney for ACLU of Oklahoma said. The lawsuit alleges on April 10, Elqutt was trying to enter the courthouse. Elqutt alleges deputies demanded she remove her Islamic scarf or hijab, and she and her attorney countered with a few requests. Elqutt said her requests were denied and deputies kept insisting she remove her hijab in public in the presence of men. “Asking a Muslim woman to take off her hijab is much like asking any woman to take off her shirt,” Brady Henderson, legal director of ACLU Oklahoma said. The lawsuit claims the woman was taken outside to remove her hijab, but not in private, and male deputies inside could see her through the windows. But the sheriff’s office is painting a different picture. The Sheriff said the video shows deputies speaking with the woman and assigning female deputies to accommodate her. Female deputies can also be seen in the video arriving on the scene and escorting the woman out to the parking lot. She then is no longer seen in the video frame. “Like all communities, we want to serve them to the best of our ability, but it cannot override security protocol it’s there for a reason,” Regalado said. The Sheriff adds that security protocol is in place for everyone, despite their religious beliefs. He said the department does not discriminate and will provide accommodations if need be. The lawsuit is seeking accountability from the Sheriff’s office. Meanwhile, the Sheriff said this all could have been avoided and dealt with had Elqutt tried to reach out to the Sheriff’s office.